ECPG is the world-leading conference on politics and gender. ECPG offers a platform for exchange and dialogue about how understanding gender is central to understand politics and where diversity and plurality in analytical perspectives and methodologies is enhanced. At ECPG, the field of gender and politics is broadly conceived to include any gender, sexuality and intersectional perspectives in political science, international relations, political theory and philosophy, research methods, public policy and public administration, and social movements. ECPG is keen to engage as well with research on race and intersectionality, sexuality, on men and the masculine and those who identify as non-binary, genderqueer or intersex. 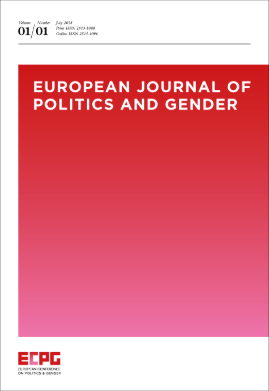 International in nature, ECPG welcomes contributions about the study of gender and politics across the world. Attendees are affiliated to institutions around the globe. The ECPG 2017 counted participants working in 43 countries across 5 continents. Together the work of the ECPG community is solidly anchored in the global debate on politics and gender. ECPG pursues an international ambition and commits to welcome the best work on politics and gender irrespective of its geographical focus or the location of the author(s). ECPG particularly welcomes the participation of early-career scholars and scholars who are underrepresented in the profession.